Undiagnosed Asperger's Leads To 'Life As An Outsider' For most of his life, music critic Tim Page felt like an outsider. Restless and isolated, he was uneasy around others. Finally, when he was 45, Page was diagnosed with Asperger's syndrome. For most of his life, music critic Tim Page felt like an outsider. Restless and isolated, he was overstimulated and uneasy around others. Finally, when he was 45, Page was diagnosed with Asperger's, a syndrome that falls within the autism spectrum. 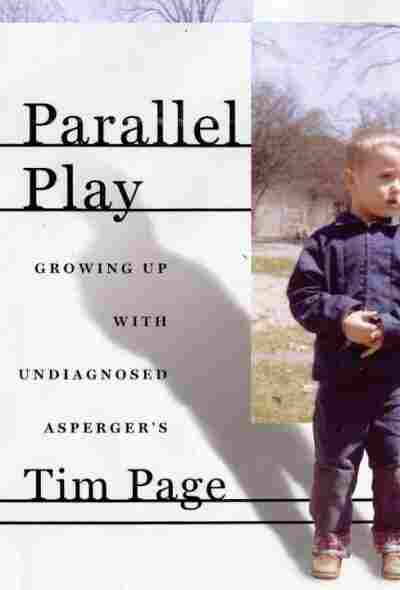 As Page explains in the prologue of his new memoir, Parallel Play: Life As An Outsider, the diagnosis came as a relief: "Here, finally, was an objective explanation for some of my strengths and weaknesses," he writes. People with Asperger's often struggle to interact with groups and understand social norms. Page describes himself growing up as a "very lost little kid" who acted out in school by making faces at teachers and being aggressive with the other students. His ability to connect to others didn't improve with age. "I can remember all sorts of trivia, but I don't notice what somebody has on," Page tells Terry Gross. "I guess it's sort of like your absent-minded professor times five, if that makes any sense." Music -- particularly the repeating patterns of melody -- provided him with a refuge from an early age. He remembers listening to his mother's record collection and experiencing a "passage into a world where everything made sense." He compares listening to music to watching clouds change slowly over the course of an afternoon. "I love process. I love patterns. I love seeing things just change slightly but also still catching you up in the whole process, and that's something that I remember from being very, very young, and I love the fact that there are some wonderful musicians who are exploring that now." "It was always very easy for me to talk about music," he adds. Page went on to become a music critic at The New York Times and Newsday. He was awarded the Pulitzer Prize in 1997 for his work as the chief classical music critic at The Washington Post. As for his diagnosis with Asperger's, Page says it has helped him accept the parts of his nature that are "not very changeable." Wearing eyeglasses, for instance, makes him feel like he is "being intimate with everybody on the street." As a result, he rarely wears them now -- even though he received his first prescription for glasses when he was in kindergarten.